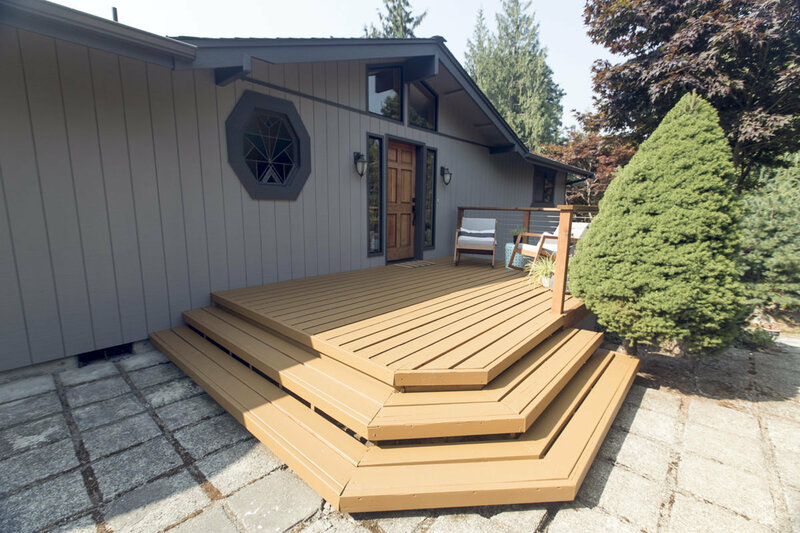 "Refreshing your deck is a simple project that makes a big difference—and it can be tackled in a weekend." 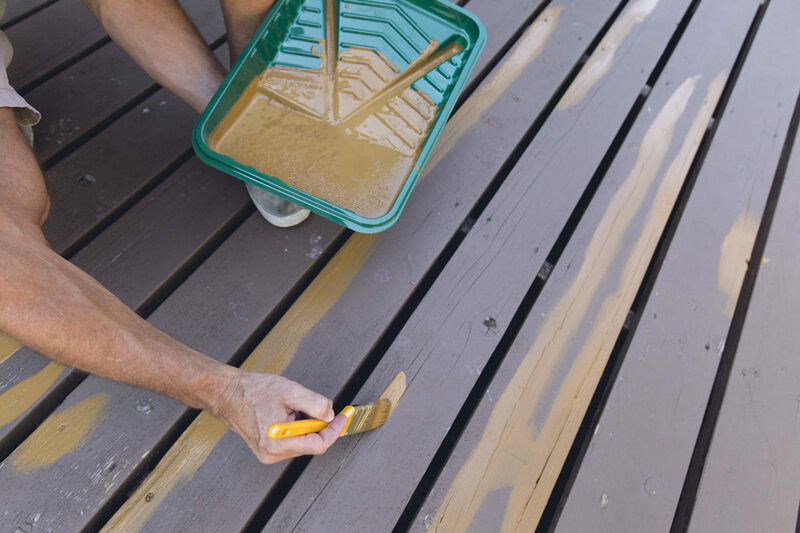 Today we’re renewing the look of a porch deck using Penofin RenewAll. 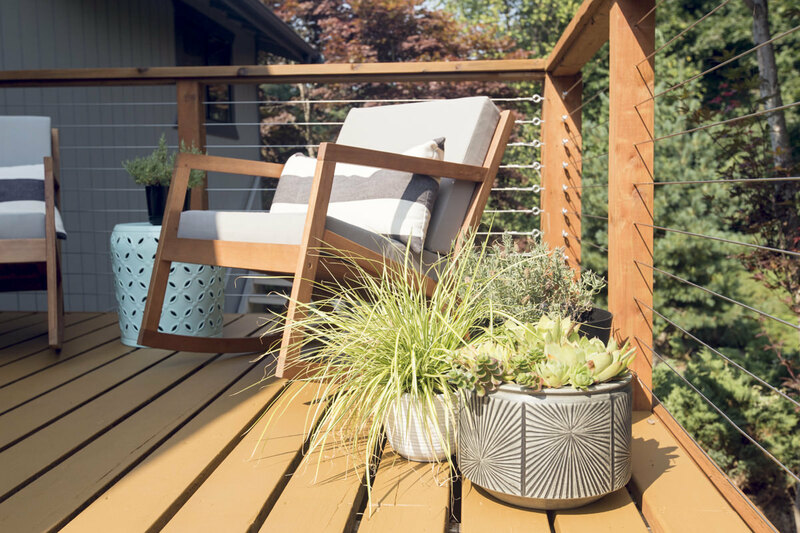 RenewAll is an easy-to-apply, thick, elastomeric coating that gives new life to horizontal surfaces such as decks—resulting in an attractive, finely textured, non-slip surface. (This is especially important in the wet Pacific Northwest.) 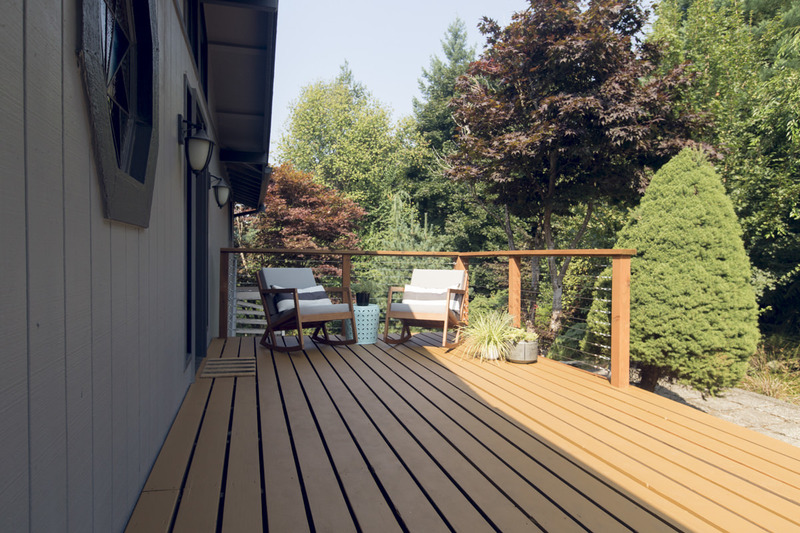 Refreshing your deck is a simple project that makes a big difference—and it can be tackled in a weekend. 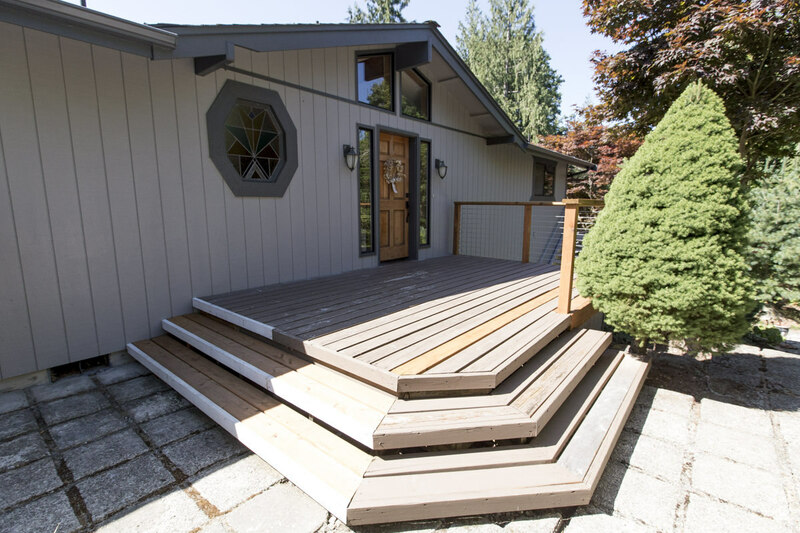 RenewAll comes in several colors to complement your home, and can be used on wood or concrete. 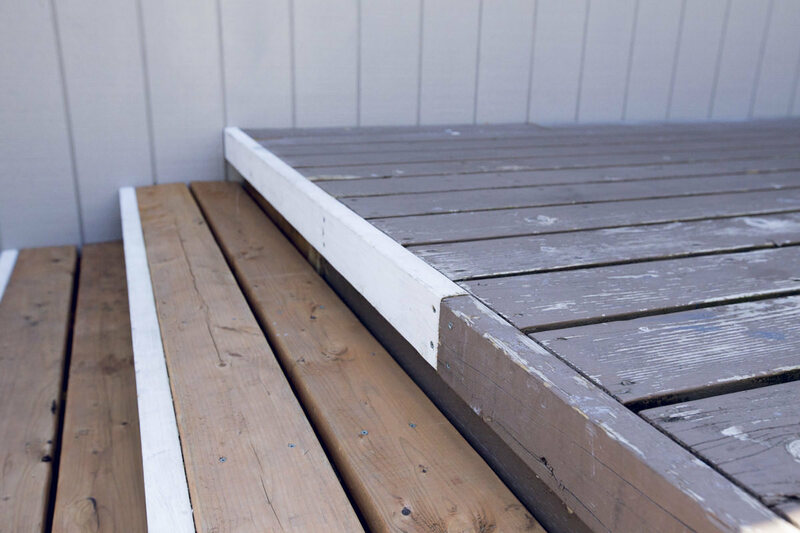 The first step is to prepare the surface by giving it a thorough scrubbing and removing any dirt or splinters. Use a garden blower to remove loose dirt, then follow up with a good cleaner like Penofin Pro-Tech Wood Cleaner. 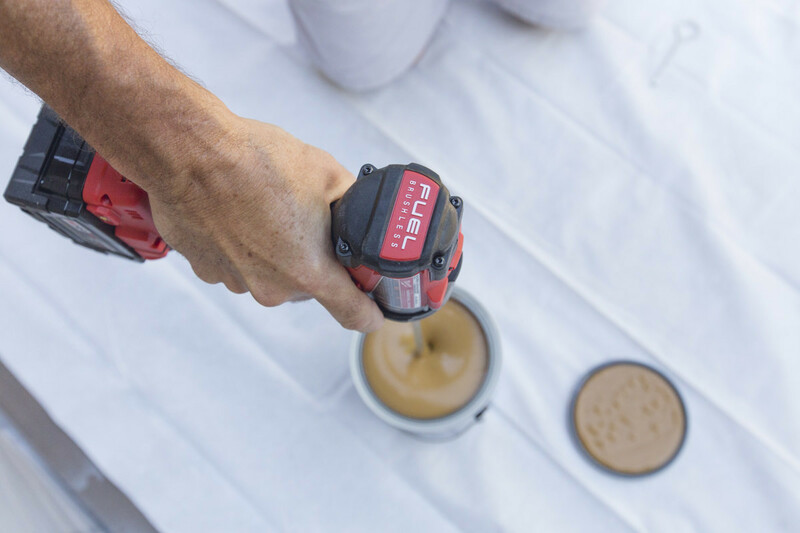 As always, read the directions on the can, which cover application temperatures, applicator methods, coverage, and more. Let the surface dry. 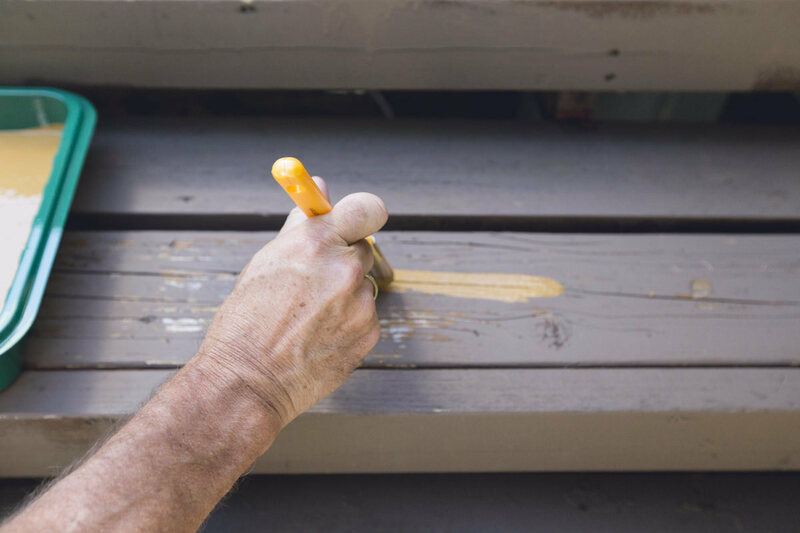 Once you have a clean, dry surface, look for any boards that need repair or replacement. 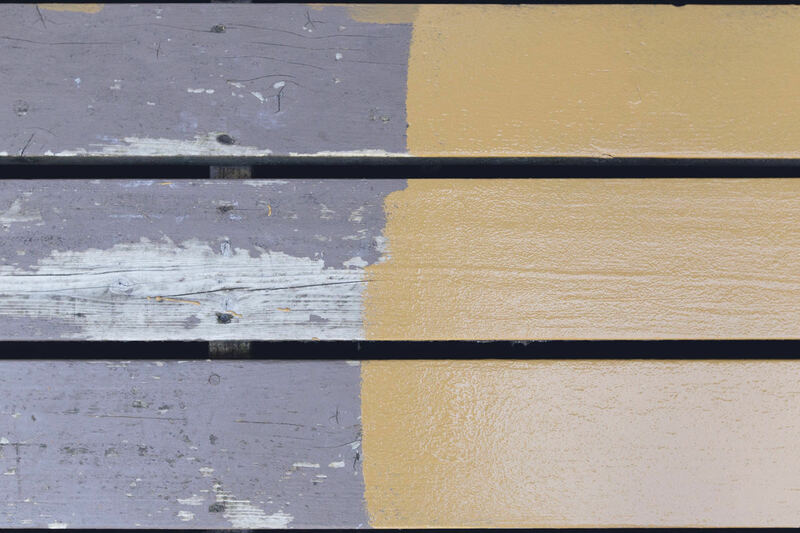 Sculpwood Putty works great for patching smaller areas of rot and filling in a gap or cracks larger than 1/4". 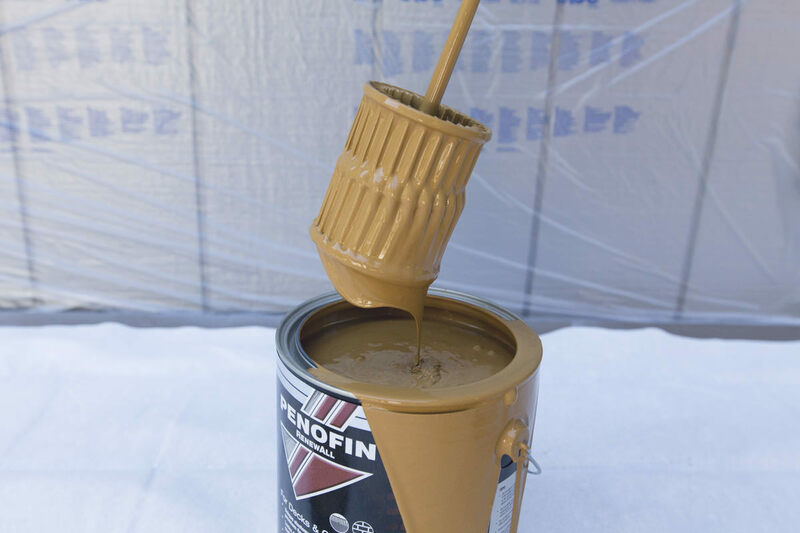 Once repairs are made and any patching products are dry, you’re ready to apply RenewAll. 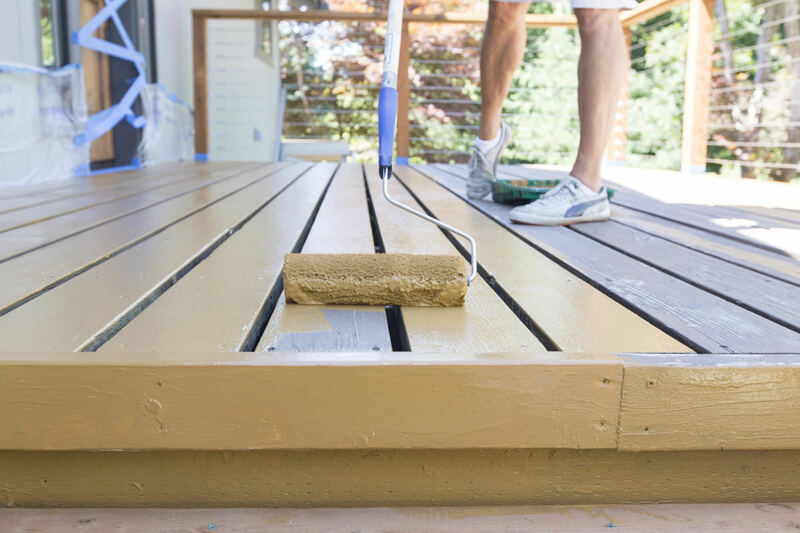 RenewAll is like a paint, so mask off any areas you don’t want affected before you start. 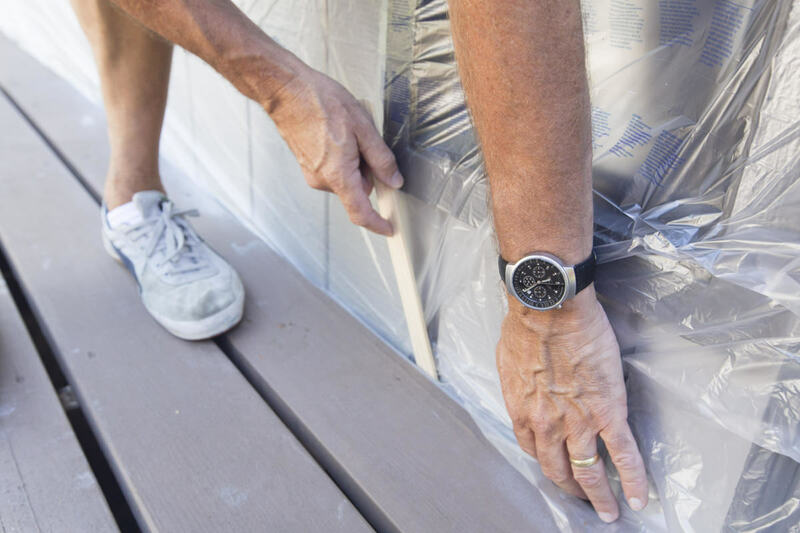 You can use tape or a tarp, drop cloth, or plastic sheet. 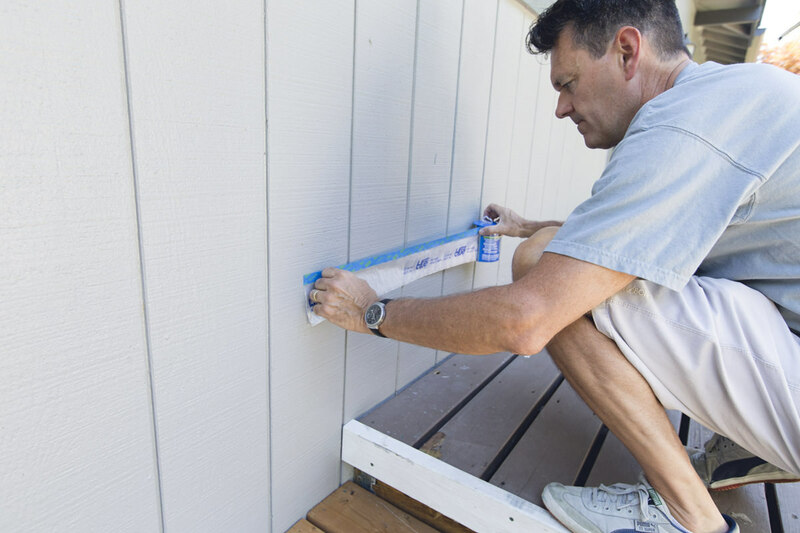 Start by painting RenewAll into any large cracks of the wood with a synthetic brush. Once you’ve addressed any wider gaps like this, you can also use the brush to cut in to any tight, confined areas or edges that would be hard to reach with a roller. 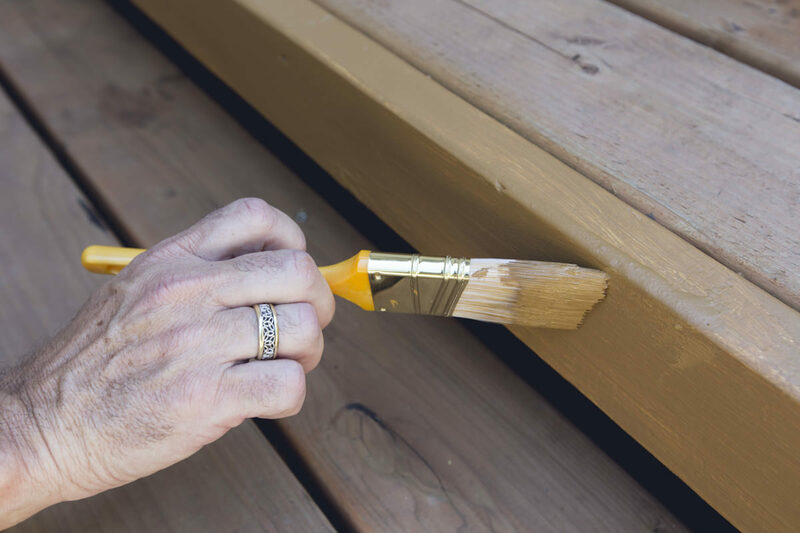 Once you’ve hand-brushed stain on any cracks or gaps, roll a thick coat of RenewAll down the length of the boards using a 3/8" nap roller. Allow it dry for four to six hours—I like to let it be overnight. 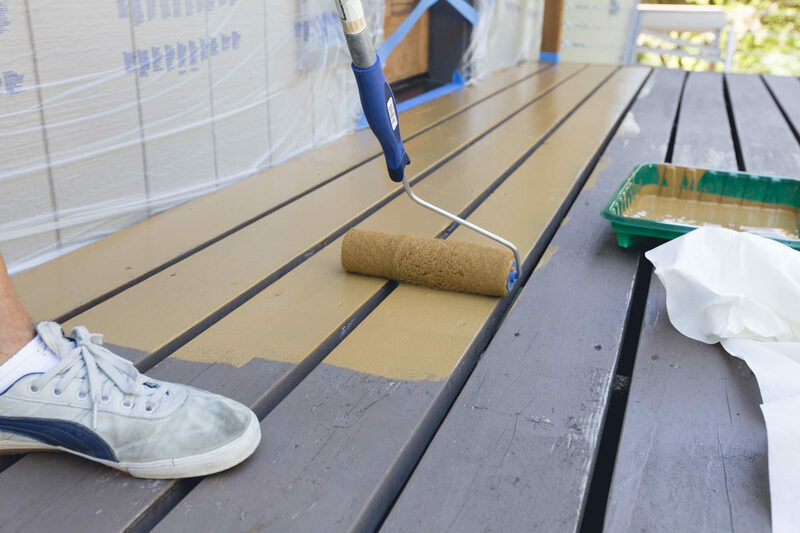 Once dry, apply a second coat. 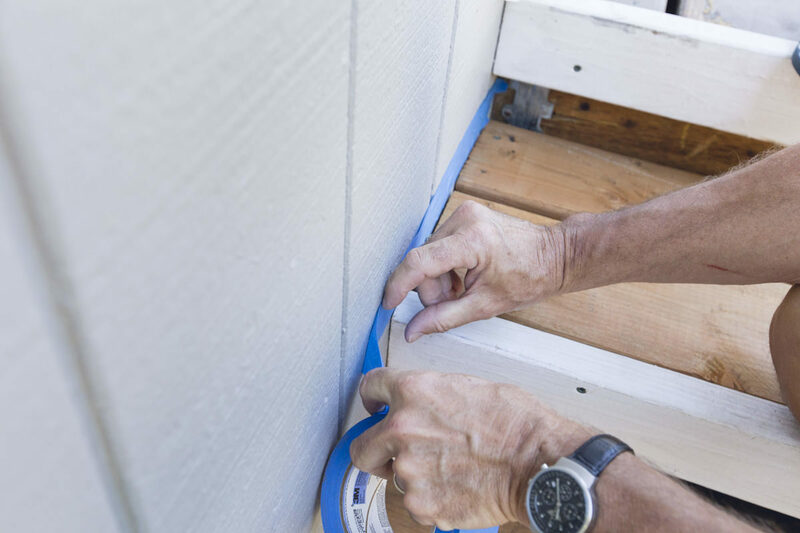 Make sure you roll on the second coat of RenewAll in the same direction as the first. RenewAll takes 72 hours to fully cure. 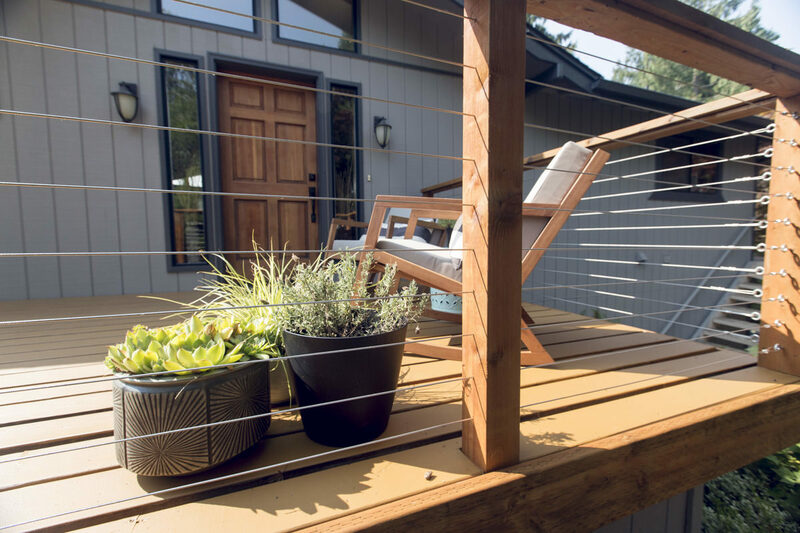 After three days, you’re ready to replace furniture and plants—and enjoy your renewed outdoor living space!